The Valentines Day cards are free below to download and print for your Valentines Day church events, Sunday School and/or personal use. These free cards for Valentines Day will help you express your affection from romantic notes to animated silly cards for your children or the child in you. Also, a very precious card below with a very special scripture that we all know - John 3:16 - For God so loved the world that He gave His only begotten son, that whosoever believeth in Him should have everlasting life. 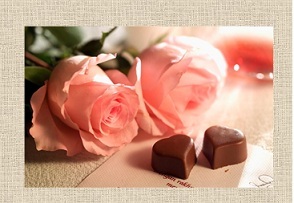 Valentines Day is a day to celebrate love, the most beautiful thing in the world. Those of us who are loved and cared for is Blessed, and should be thankful. Remember when getting your cards ready for Valentines Day that you need to make sure you are spelling your Valentine's name correctly, and this will show that you really do care about them. Also if you have words already typed on your card, always include words of your own in your own handwriting to let them know how much you really like or love them. Nobody really cares how bad your handwriting is it is the thought that counts. Don't ever just sign your name the bottom of the card put a little thought into it, even if you just write a line or two and be yourself. It is the special way by which these cards for Valentines Day communicates the message of love that has sustained its popularity despite the passing of time. No matter if you purchase, download online or create one yourself, it is the message that counts the most. These unique beautiful cards below are wonderful way to celebrate Valentines Day with the Love of Your Life! There are also Valentines Day Notes you can print for your children to give to their valentine on Valentines Day.The Valentines Day Notes below are five pages of valentines that your children will enjoy on this holiday along with the other Valentines Day Ideas on FreeChurchForms.com. Return to Valentines Day Ideas from Valentines Day Cards.